These 4 girls have been in training for awhile and were put together to replace the very popular 2NE1 group. Their precision dance routines and stage presence is addicting to watch, They are considered a Rookie group and with their first 4 songs have taken KPop by storm. 100's of millions of views/streams and already many awards. BLACKPINK or BLΛƆKPIИK, is a South Korean girl group formed by YG Entertainment and the first girl group that debuted under the entertainment agency in seven years after 2NE1. 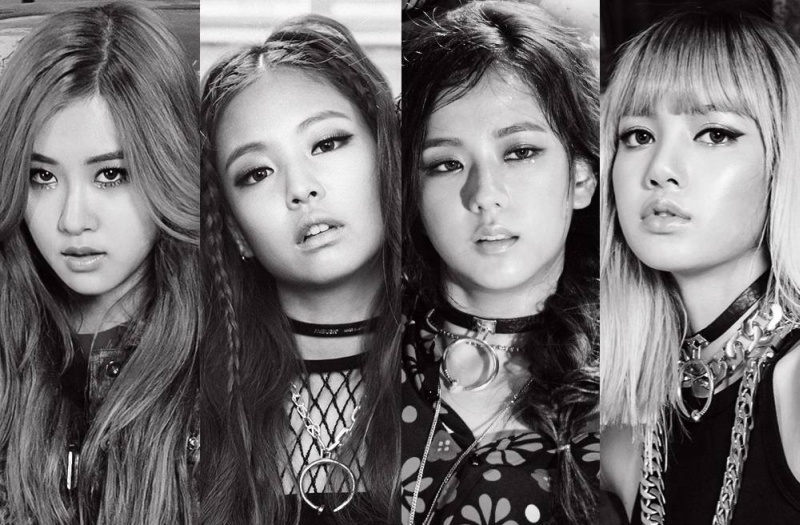 The group consists of four members: Rose, Jennie, JiSoo and Lisa. They officially debuted on August 8, 2016 with the single album Square One. "Whistle" was released as a digital single, titled Square One with double A-side "Boombayah". A related event to the uprising of BlackPink a very popular female group SISTAR officially disbanded as of June 1st. after a very successful 7 year run. The post was edited 1 time, last by abouttoexplode ( Jun 3rd 2017, 3:31pm ). 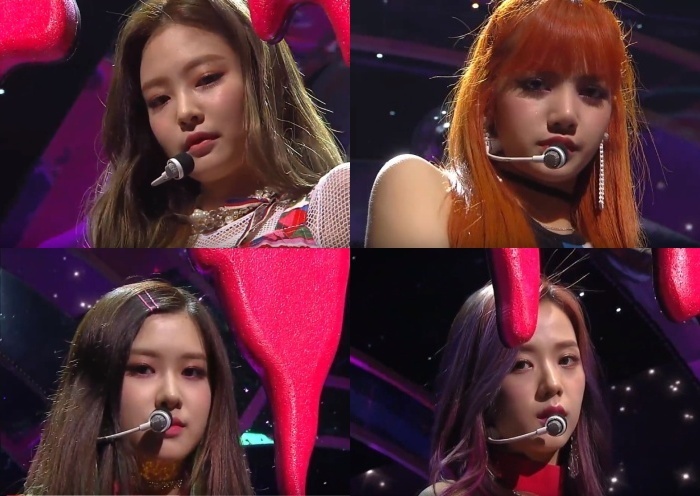 ROSE from BlackPink performing on King Of Masked Singer. The King Of Masked Singer is a South Korean variety/singing show. Celebrities will appear on the show and not be revealed until the end. The post was edited 1 time, last by abouttoexplode ( Jun 5th 2017, 6:43pm ). Found the full version of ROSE on King Of Masked Singer. It appears she was on 2 episodes . BlackPink making Comeback in June. Filming their new music video now. Sounds confusing to read about their 'Comeback' when they are barely a year since they made their debut. But here is what information I found out. So they end up doing lots of promotion before, during and after each album release. Here was their GoodBye stage event. BLACKPINK are ready to debut in Japan almost exactly 1 year after their Korean debut. YG Entertainment and Avex Group‘s joint company YGEX have announced that BLACKPINK will be debuting in Japan. 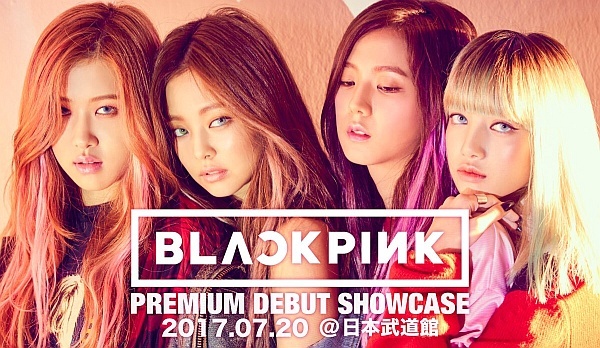 BLACKPINK will hold their debut showcase on July 20 at Nippon Bukodan in Tokyo. Following their showcase, the group will release their first Japanese mini-album on August 9. Their debut mini-album will include Japanese versions of their 4 songs already released (“Whistle”, “Boombayah”, “Playing with Fire”, and “Stay”) as well as brand new, unreleased tracks. "we're coming back with a new song soon so stay tuned "
Possibly the name of their new release on the 22nd. New Music Video teaser , this looks good , 1/2 million views in 1st hour of just the teaser. The post was edited 1 time, last by abouttoexplode ( Jun 24th 2017, 11:56am ). The post was edited 2 times, last by abouttoexplode ( Jun 29th 2017, 9:12pm ). English title: The Music Trend, is a South Korean music program broadcast by SBS. It airs live every Sunday at 12:10 PM KST. The show features some of the latest and most popular artists who perform on stage.